I’ve got my head full of Paleo, Gluten Free, Grain Free, Sugar Free questions at the moment – these little morsels of sweetness are none of that and they are divine! I’m sure there is a version of these in every CWA and Womans Weekly Cookbook they are that type of good old fashioned bikkie, up there with jam drops and peanut butter cookies! Little Miss just saw me writing this and said “Mummy those bikkies are so, so yummy” high approval ratings from the 5 year old – would be better if she were asleep in bed though! There are only 4 ingredients in these ones and so simple to make. You can choose what type of sugar you want to use I’ve gone for coconut sugar today. * You can also use either the seeds from a vanilla bean or vanilla bean paste (1 tsp = 1 vanilla bean). I’ve done it in step by step photo’s for you…..
*Coconut sugar a lower GI than refined cane sugar which means the energy release is slower so the kids don’t get that sugar high at recess and then crash in the classroom (that is the theory anyway!) but up to you. If you are milling your own sugar into icing sugar do that first and then add the butter and vanilla. With a Thermomix 10 seconds / speed 4 or in an electric mixer beat until light and fluffy. Add the flour and combine. Thermo – 4 seconds / speed 4 and then knead the dough. In the Thermomix this was 2 minutes on the kneading function. 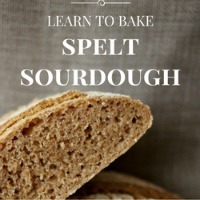 If you are doing it by hand knead on a floured surface until smooth. Shape the dough into a log, depending on how you want them to look it could be rectangular or round. Take the log out of the fridge and slice into biscuits sized slices. Bake for about 12 minutes and then let cool on the trays. I think these will be the perfect little treat to send on the bus to year 5 camp on Monday! Thanks again Vicki have been looking for something simple and delicious. Pleasure. They were a winner here so hopefully on the bus too! Are these super sweet or a nice balance?